Welcome, DIY friends! It’s That DIY Party time a day late but all ready to go! #motivation #productivity #creativity and loads of #DIY! Who’s next DIY challenge involves spring cleaning. It’s at the top of my to-do list! 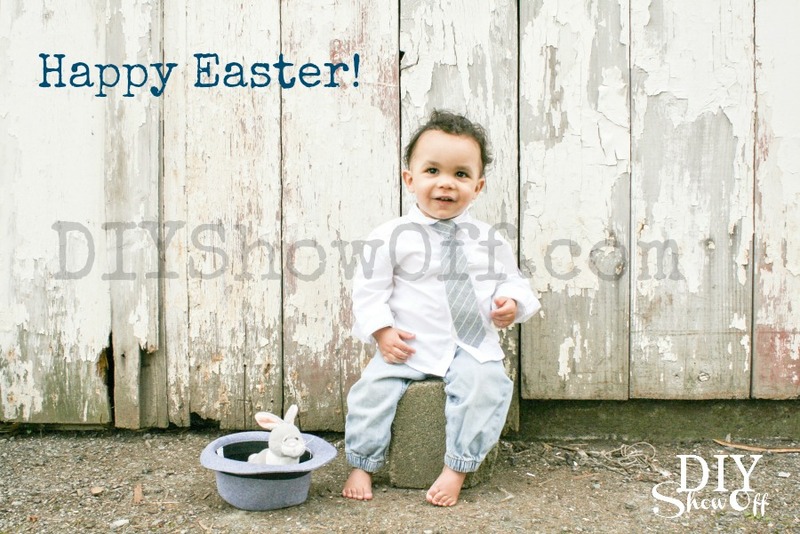 DIYShowOff weekly recap: I was pretty busy with prepping for hosting Easter and spending time with this cutie pie. Watch for spring inspired DIY (and even a Mother’s Day idea) this coming week! Party time: Let’s see your creativity! 2. This blog linky party is for YOUR DIY projects only. Links not related to DIY will be deleted. Please share your link one week only. Please do not link giveaways, linky parties, promotions or a collection of inspiration that isn’t your own DIY project. Limit recipes to one per person per party. PLEASE DO NOT LINK TO YOUR ETSY SHOP. This entry was posted in That DIY Party and tagged That DIY Party by Roeshel. Bookmark the permalink. Thank you for hosting the party. Have a great week! Thanks for hosting! Have a wonderful week!! Thank you Roeshel for That DIY Party 85. Sweet little guy. So many cute ideas! Thanks for hosting and have a great week!